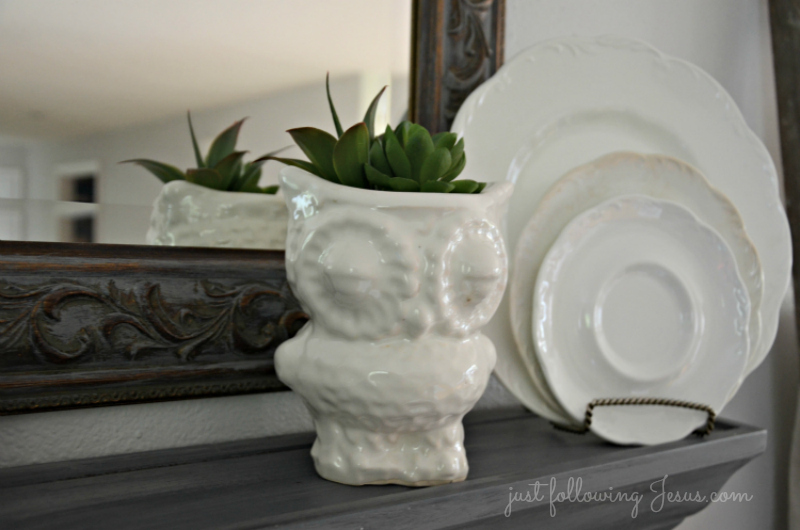 Just following Jesus in my real life...: White ironstone and to faux or not to faux? Elizabeth, I think they look real! If you hadn't told us, I never would have known the difference. Good job picking some that are very realtisic. Dropping by from Becky's blog party. Thanks for sharing. Wow, they do look real. I'd love to have a succulent garden. 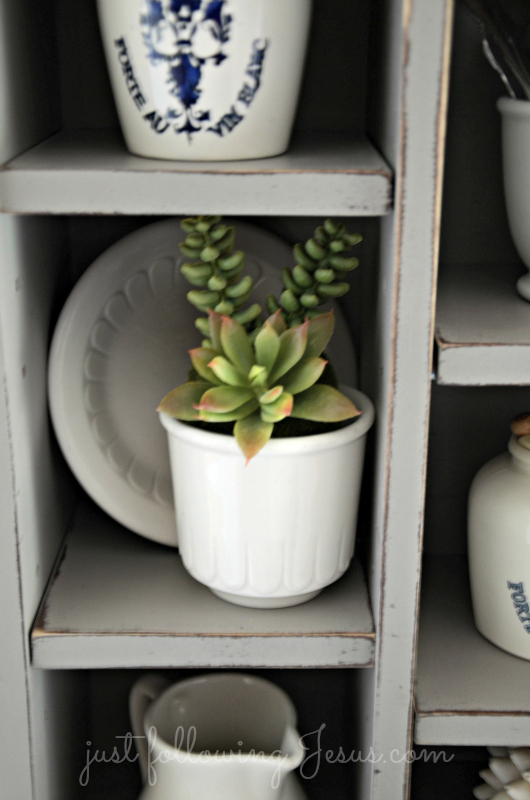 I've seen table succulent gardens done. They look so cute. The small touches of green are wonderful and very life-like. Perfect choices! I definitely can't tell the difference. They are a perfect accent. They look real! 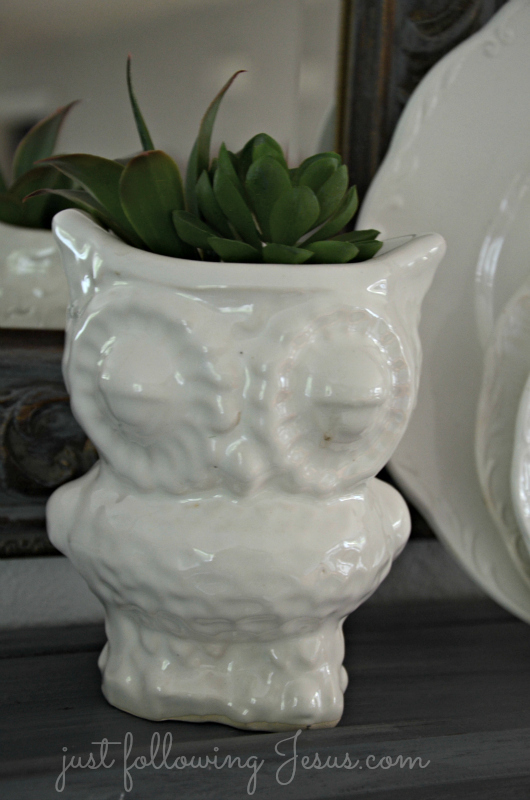 Who would have thought the were faux succulents. Love the little touch of one in the owl. Plants one of God's many wonderful creations that I love to have in my house and on my porch. 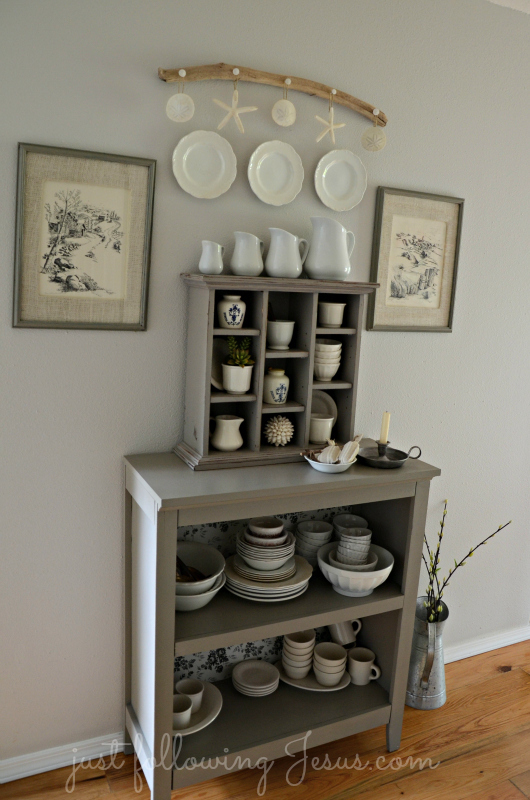 Love the white ironstone collection! The plants fooled me. I prefer the real deal as well but a couple of places where I don't have enough light just cry out for something green. There are some good quality ones out there now! I have both in our house, on top of my hutch is fake greenery and then around the living room I now have five real plants. Never wanted any before but am discovering that if I pay attention and put them near some sun they do ok and add some warmth to the room. Good choice! I could probably use some faux plants, since I have terrible light in my house. The only place where I can grow plants is in a tiny east-facing window in the tiny original bathroom of the "old" part of the house. Glass shelves on the wall above the toilet---the zygo cactus plants love the location! I think to faux when they look real - or when there is a good reason. 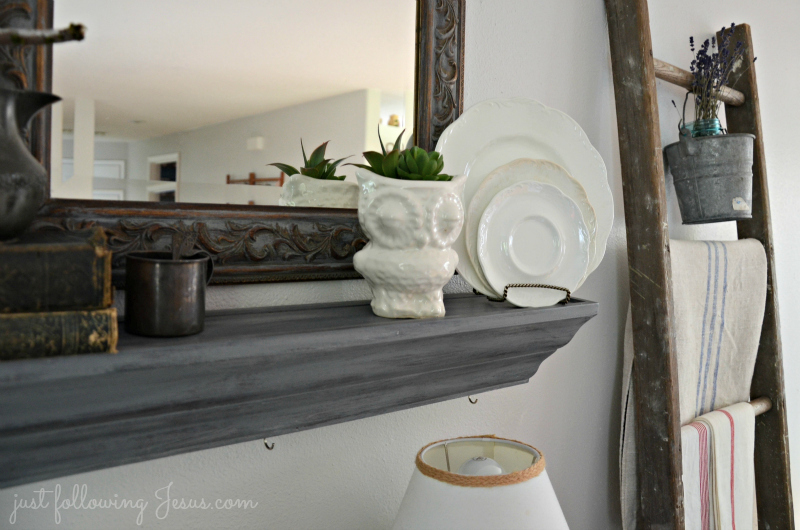 I have faux on my entertainment center area. We learned the hard way many years ago the possible consequences of having plants to water (and overflow) on electronics or entertainment center! Love your faux plants.